The Mac App Store: yes, it's got Angry Birds in it. 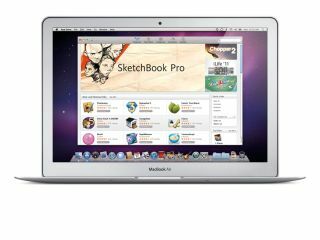 Apple's Mac App Store, which lets users of the company's computers buy and install software in a similar way to its iOS customers, has just opened for business with more than 1,000 apps to choose from. We'll be taking a look at the best of the music software already available through the store soon, but possibly the biggest headline is that GarageBand '11 is now available on its own for £8.99. This is great news for anyone who wants to upgrade to this latest version but doesn't need the other apps in iLife '11, which costs £45. To gain access to the Mac App Store you'll need to be running OS X Snow Leopard and use Software Update to download the latest version (10.6.6). As we've previously reported, it looks like plug-ins won't be eligible for entry due to the way they install, but it'll be very interesting to see what kind of music software does go on sale and at what price.